Alicia Melrose, BA (Hons), MNZAMH, Dip Phyt. Alicia developed her enthusiasm for herbal medicine when she lived in Indonesia with a Sumatran Shaman after completing her BA Hons in Anthropology. 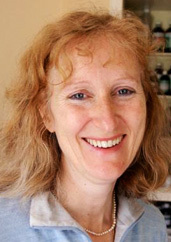 Four years of further full time study in the UK gave her a Diploma in Phytotherapy (a qualification for excellence in herbal medicine) and membership to the National Institute of Medical Herbalists in the UK in 1988. With many years of clinical practice as a Registered Medical Herbalist and muscle tester Alicia has developed, first in the UK and now in NZ, busy clinics based on highest professional standards for chronic, acute and family medicine. Always in awe of the potential of herbal medicines, she has a passion for her work and a deepening understanding of the causes of disease processes. She has years of experience as an educator both in the UK and NZ. Her political involvements and interests have led her to be spokesperson of complimentary medicine both on radio and TV. In 2018 Alicia moved to Whangarei, Northlands. She now works mainly remotely returning to Wellington a few times per year to offer consultations from her old clinic rooms in Lower Hutt, the former Belmont Park Retreat. See the website booking system for more info or contact her directly on belmontparkretreat@gmail.com for more info.